Alfred Harris was born in London in 1930 and trained at Willesden School of Art, then the Royal College of Art (1952–55) alongside contempoaries including Frank Auerbach and Leon Kossoff. 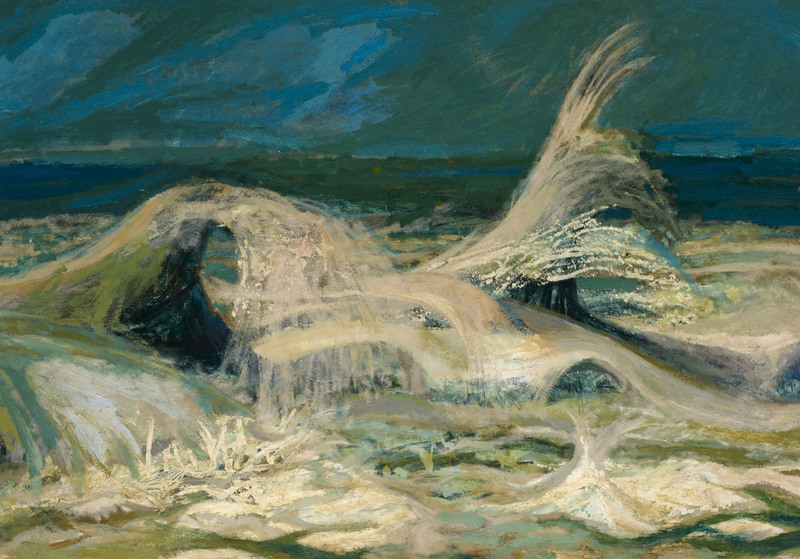 Harris’ early landscapes were exhibited at London galleries including the Drian, Beaux Arts and the Ben Uri, where he showed frequently in the 1950s including a solo show of drawings in 1959 and a number of group shows including ‘Twelve Contemporary Artists’ (1958), alongside Auerbach and Jacob Bornfriend, among others. For seven years, beginning in the late sixties, Alfred Harris worked closely with Bornfriend and exhibited alongside him in seven major two-man shows in England, including at the Ben Uri in 1974, and as part of the Uppsala Arts Festival in Sweden. Harris paid tribute to their creative friendship, declaring, ‘I know of no other person who was able to talk so simply and profoundly about art. I learned more from him than from all of my teachers’. A former member of the London Group and the Royal West of England Academy, Harris also chaired the Department of Art and Design Institute of Education (1963–88). His ongoing series of searching self-portrait ‘studies’, including both paintings and drawings, has been at the centre of his practice for the last twelve years.